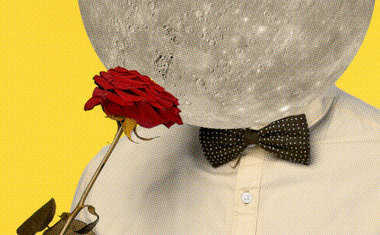 Mercury, the planet closest to the Sun, represents communication and intellectual perception. Because Mercury is the planet of thinking and Aries is the sign of doing, words tend to flow without a second thought when these two sync up in the sky. This is also a time when we may express our ideas with more passion than usual. 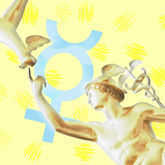 Mercury in Aries opens us up to new concepts and perspectives. Aries, as the first sign of the zodiac, is a true leader that boldly goes where nobody has gone before. 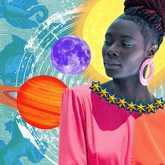 This cosmic combo is all about pushing the envelope, and sparking our imaginations so that we open ourselves up to a new world of possibilities. 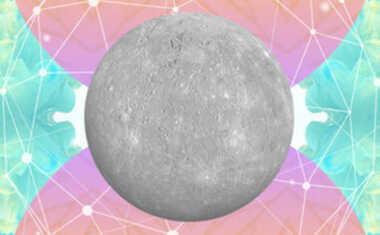 Want to know if YOUR Mercury is in Aries? Find out with a FREE Essential Birth Report sample now. We’ll all get straight to the point when mental Mercury is in assertive Aries! Aries waits for no one, so this transit is a time when our minds may grow a little (or a lot) more restless and impatient. We won’t stand still or replay the tape in our minds over and over again -- we’ll want to charge ahead and move onto the next thing. Mercury in Aries is also great for opening the lines of communication and giving us the encouragement we need to say exactly what we think and feel. Since Aries is the sign of "me," we’ll have the confidence to speak our minds. However, our desire to say exactly what we’re thinking could become a problem when cooperation, compromise, and sensitivity are required. Our thoughts and speech may become more courageous and innovative when Mercury and Aries get together. Flashes of insight make it easier for us to think of fresh solutions to problems that have been hanging over our heads for too long. Don’t second-guess yourself -- your first thoughts are often your best ones during this transit. Catch this inspiration as fast as you can, because the Aries influence means these bursts of brilliance will disappear just as quickly as they appeared. Our plan to spring into action might hit a few hurdles when mischievous Mercury retrogrades through Aries! Because Aries is all about fast talk and impulsive action, Mercury Retrograde in Aries could land us in hot water when talking with others. This retrograde period isn’t just a time of small miscommunications -- it can be filled with full-on communication breakdowns. We’ll all be in such a hurry to say what we want to say that we won’t take the time to express ourselves clearly enough so that others understand us. Hasty and unfiltered speech comes a little too easily when Mercury does a backwards dance through this sign. Words may seemingly tumble out of our mouths, so we need to think twice before speaking once when this planet goes retrograde in Aries. If we’re not careful, we could find ourselves involved in an argument we didn’t want to have, or making a rash decision we’ll later regret. You are not one to mince your words! A strong and direct communication style is a tell-tale sign for those of you born with your Mercury in Aries. Your mouth fires as rapidly as your mind -- you simply don’t have the time or energy to beat around the bush. This can rub some people the wrong way, but others will appreciate that you’ll always be straightforward with them. If anyone needs a decision to be made, you’re the person they call, Aries. While other people may get caught up in an endless cycle of mulling over every possibility, you focus on the bigger picture. To you, getting hung up on trivial details only slows you down on the trail you’re blazing. Because your Mercury is in Aries, you’re a pioneer, someone who is often coming up with new ideas and innovative ways of thinking about things. If your perspective is met with resistance, you have an animated communication style that often encourages people to adopt your point of view. Procrastination? You don’t know the meaning of that word! You embody a "full steam ahead" mentality, quickly plowing through anything you’re working on. A take-charge attitude and ability to inspire others with your words is why you may eventually land a leadership role of some kind. Get your complete birth chart to see how all the planets influence you personally. 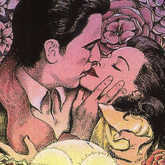 Uncover the complex and deeper issues around any romance with the insight and advice of this 10-card love Tarot reading. 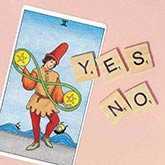 Take action on any decision with clear-cut advice from this 8-card Tarot reading by Mary K. Greer.